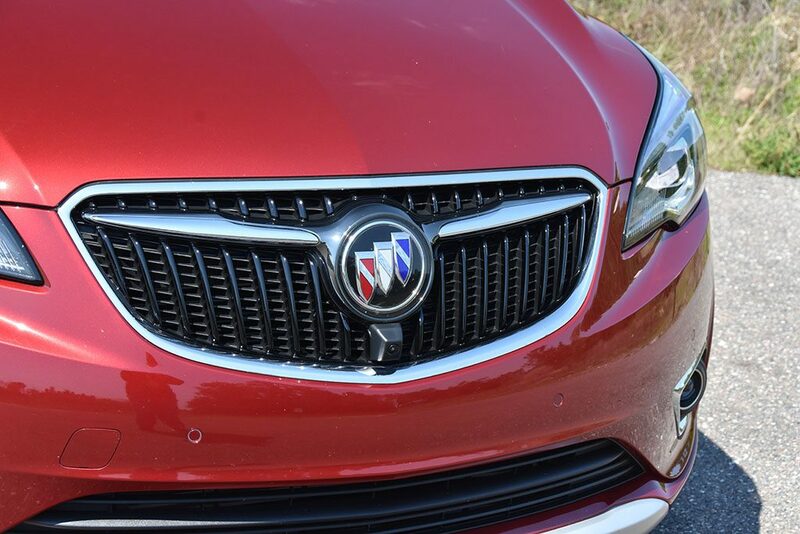 The Buick brand has lived on in America much thanks to its Chinese market infusions that have kept a momentous craving for such vehicles. 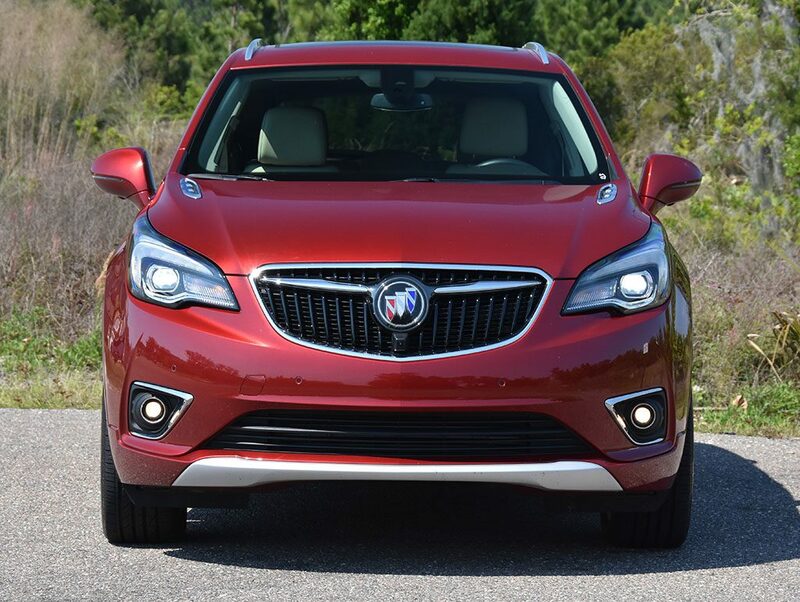 With the growing demand and love affair for crossover utility vehicles here in the states, Buick’s latest Envision is a welcomed retooling of the compact crossover. 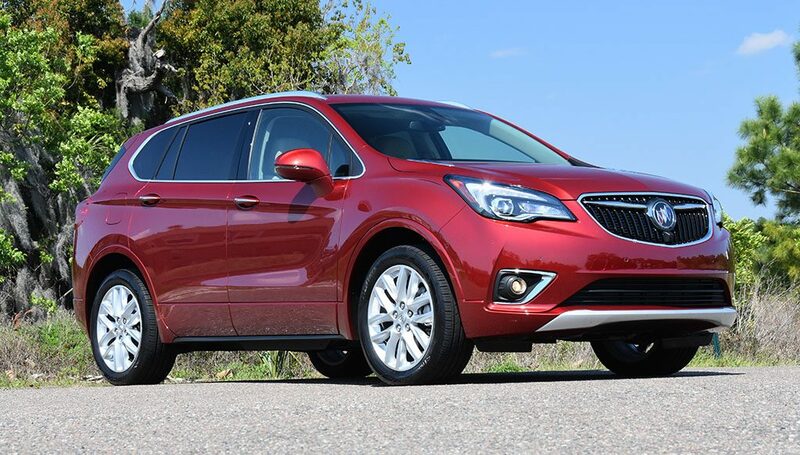 For the 2019 model year, the Envision gets the availability of the brand’s 2.0-liter turbocharged 4-cylinder engine mated to a new 9-speed automatic transmission to power all four wheels in my loaded-up top-trimmed test vehicle. The new tooling of the Envision is has been nicely digested by myself in a meal I thought wasn’t going to sit well with me but to my surprise it’s something that I could indulge in again if I were ever to revisit the same establishment. 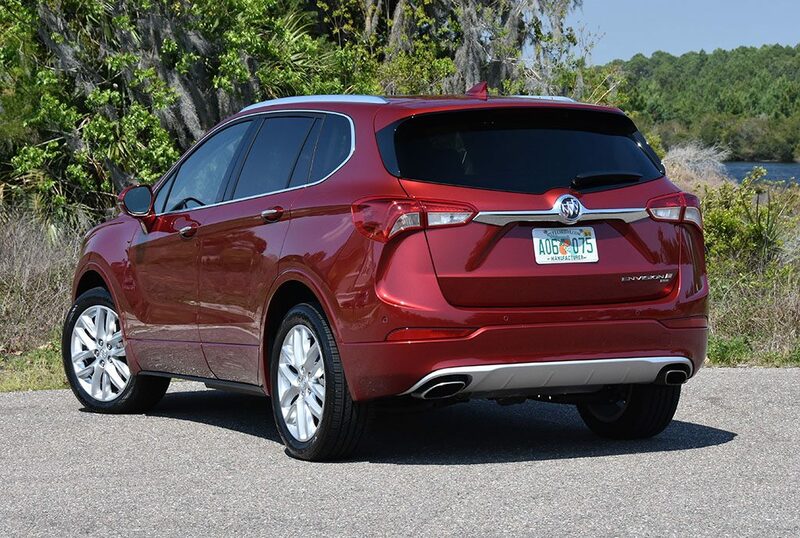 The new 2019 Buick Envision slots in nicely between the larger Buick Enclave and subcompact Encore crossovers. 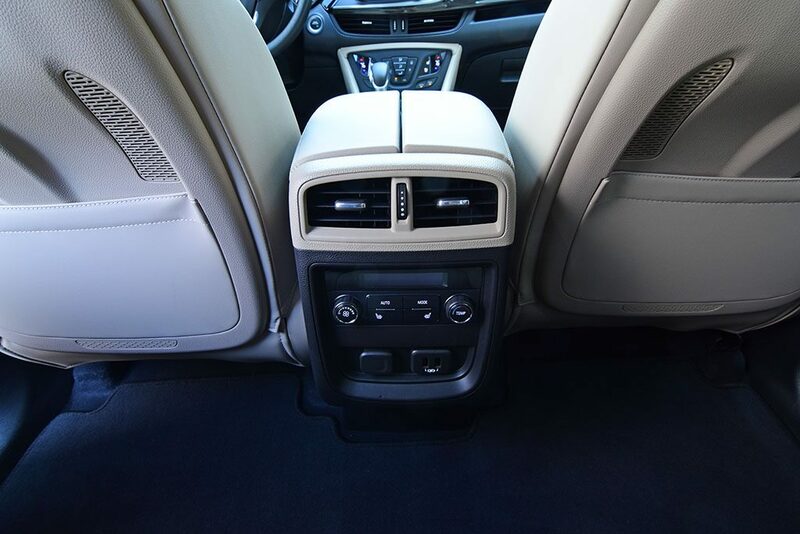 With the offering of the latest 2.0-liter turbocharged engine the new Enclave becomes a better player among its competition. 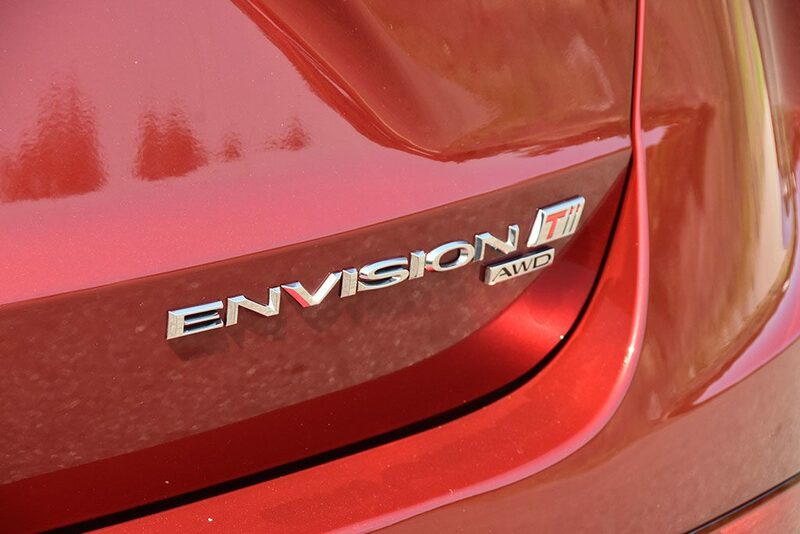 Though, the Envision is in a strange place considering it is not exactly a full-on luxury vehicle but attempts to pull off a premium level of features and amenities to place it on a borderline for having the proper luxury classification. 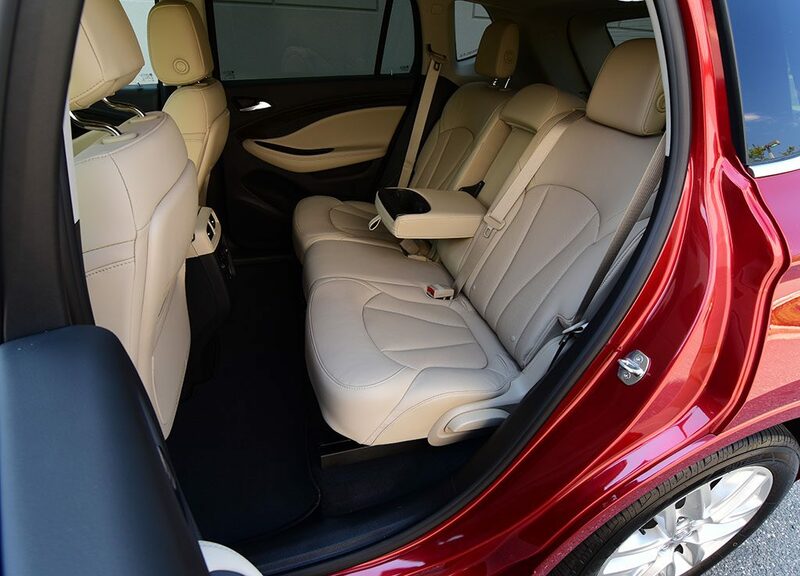 In such an odd space, the Envision is free to do its own thing and that gives the masses a higher level of comfort over many mainstream compact crossover offerings for its upper-level trim packages. 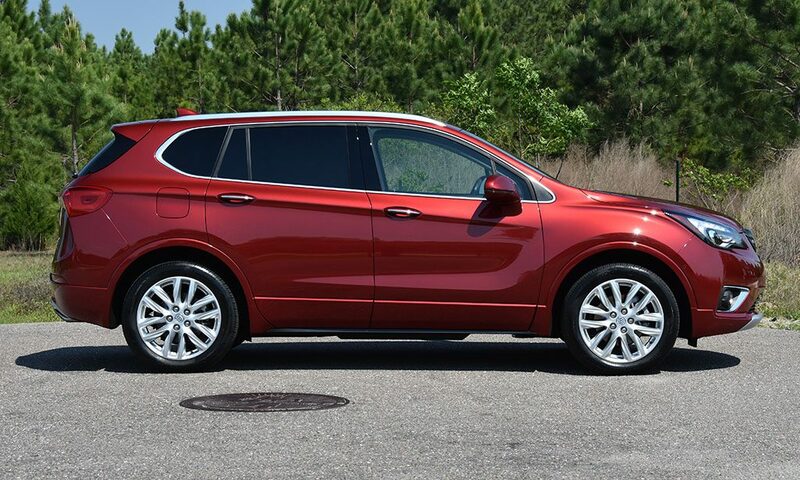 Buick’s Envision starts life as somewhat of a no-frills crossover but starts to gain notable attention in many areas when you avoid the standard 2.5-liter 4-cylinder engine with 197 horsepower and 192 lb-ft of torque for the Premium trim level’s 2.0-liter 4-cylinder turbocharged engine that produces 252 horsepower and 295 lb-ft of torque. 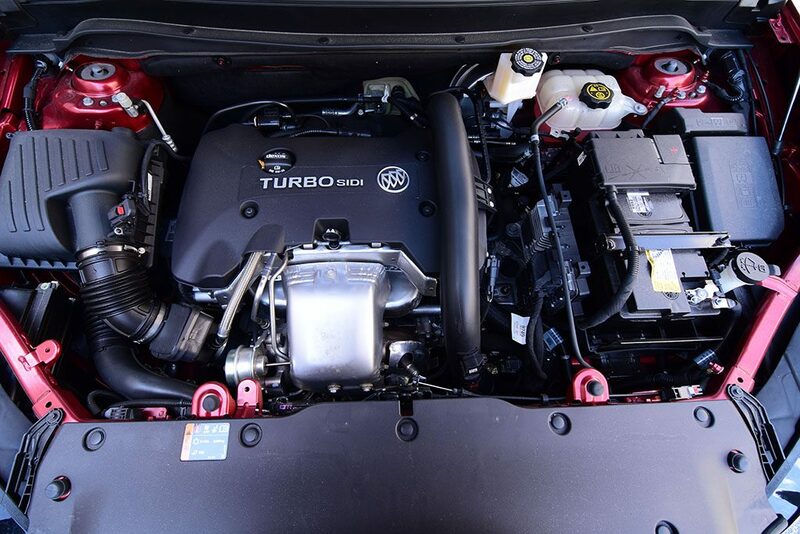 The more powerful turbocharged engine also gets mated to a 9-speed automatic transmission furthering its scope of efficiently laying down a good amount of power to either the front wheels or all four through an all-wheel-drive system with a locking rear differential. Overall, the performance is respectable but never overshadowing what you expect from the brand. 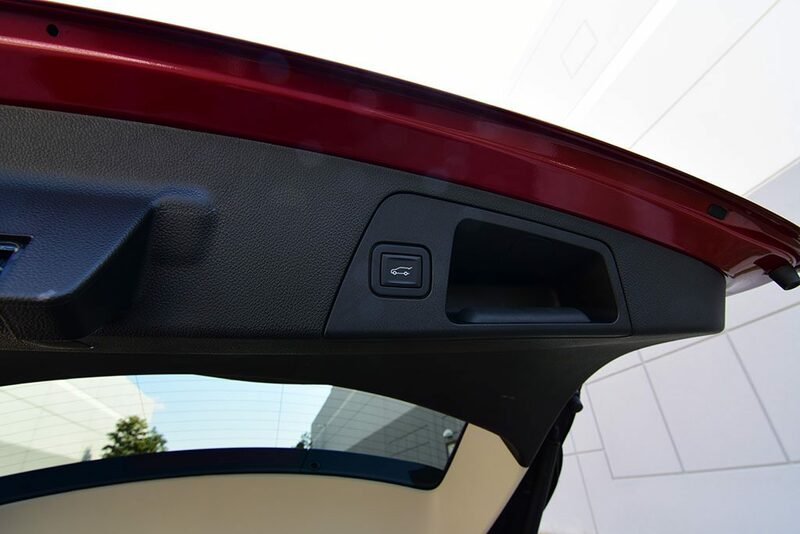 Power comes on smooth rather than abrupt but keeps a steady pace with a decent push to never lack on its ability to keep with or surpass highway traffic. 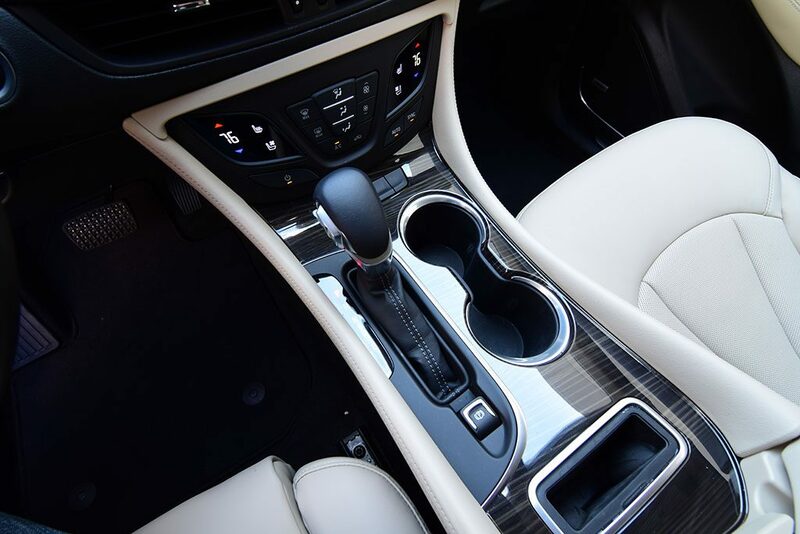 The turbocharged engine does well to get things moving quickly as does the 9-speed automatic transmission to sort out smooth shifts without unnecessary gear hunting. Running to 60 mph takes about 7 seconds, which is decent for such a class of a vehicle. 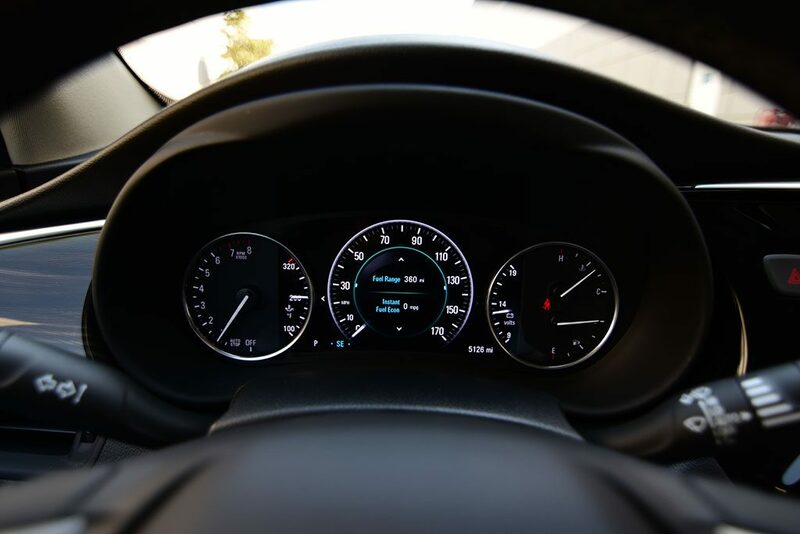 Fuel economy is mostly consistent where I saw about 22.2 mpg on average. EPA figures come in at 20 mpg city, 25 mpg highway, and 22 mpg combined. 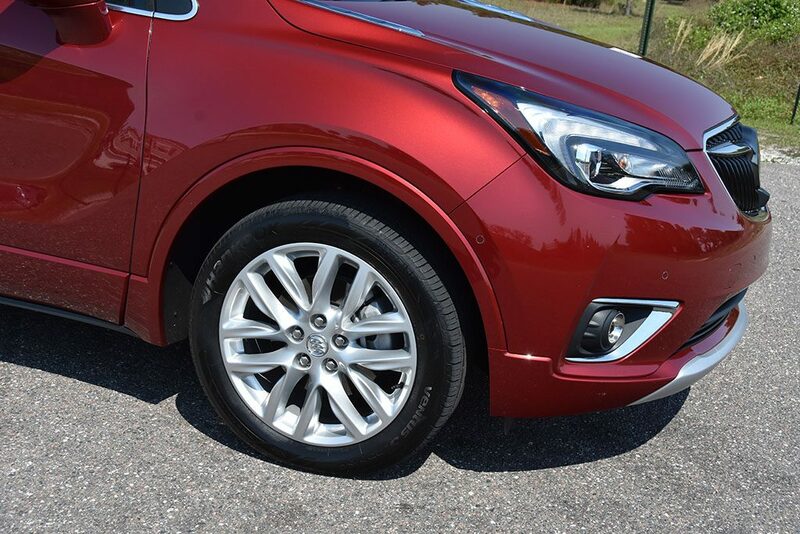 The ride quality is a shining aspect of the new Envision in the Premium trim levels where it incorporates adaptive dampers that do justice to keep the body composed quickly reacting to road imperfections and soak up large bumps. 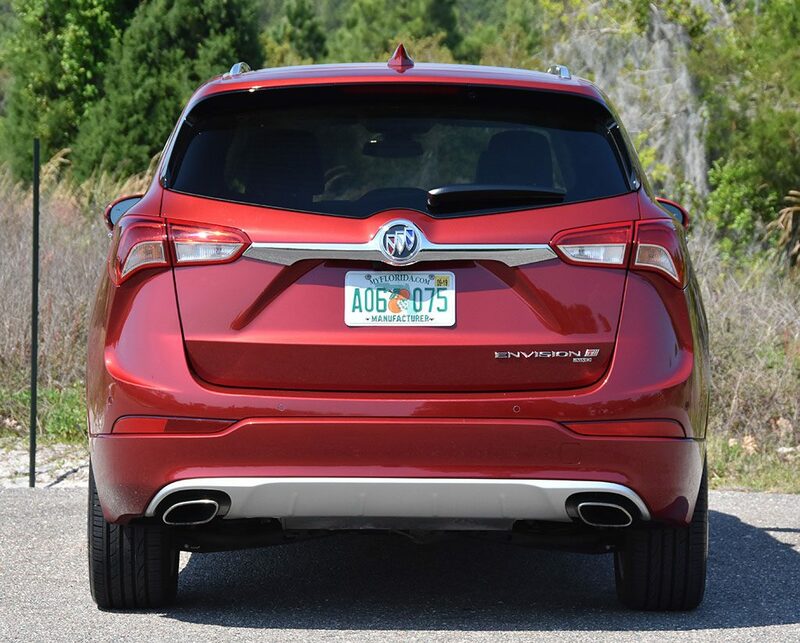 I was surprised at how well composed the Envision felt with the only downside being somewhat of a slow steering rack that may be a bit too weighted for some who shop the Buick brand. 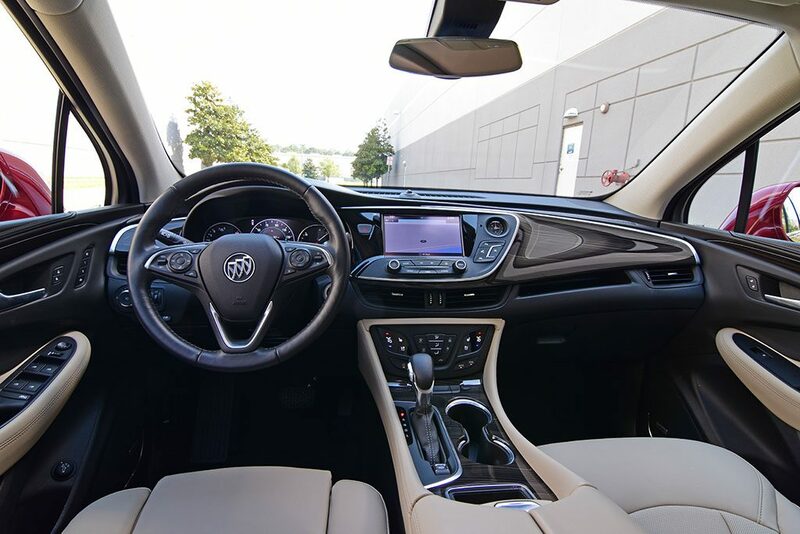 Inside of the new 2019 Buick Envision is a nicely appointed cabin with several soft-touch surfaces and a premium feel throughout. 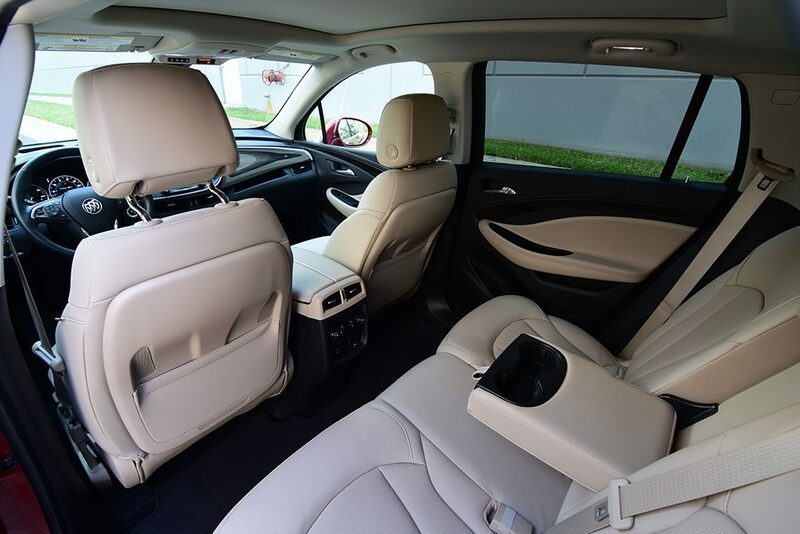 While the cabin is not as upscale as those from luxury brands, the Envision holds its own to a higher standard after opting for the upper-level trims where a variety of tech is thrown into the mix for a decent user experience. 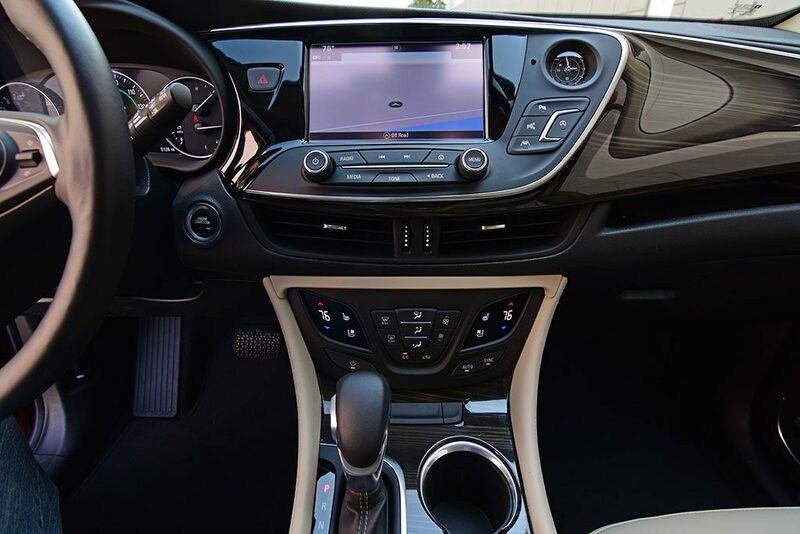 Some of the tech, fed through the 8-inch color touch screen, brings many of the expected features to the table such as Apple CarPlay and Android Auto integration, a wireless phone charger ‘pocket’, 4G LTE Wi-Fi hotspot, heated and cooled front seats, a plethora of active safety features (lane keep assist, emergency braking, forward collision warning, adaptive cruise control) a color heads-up display, and a partly digital gauge cluster. 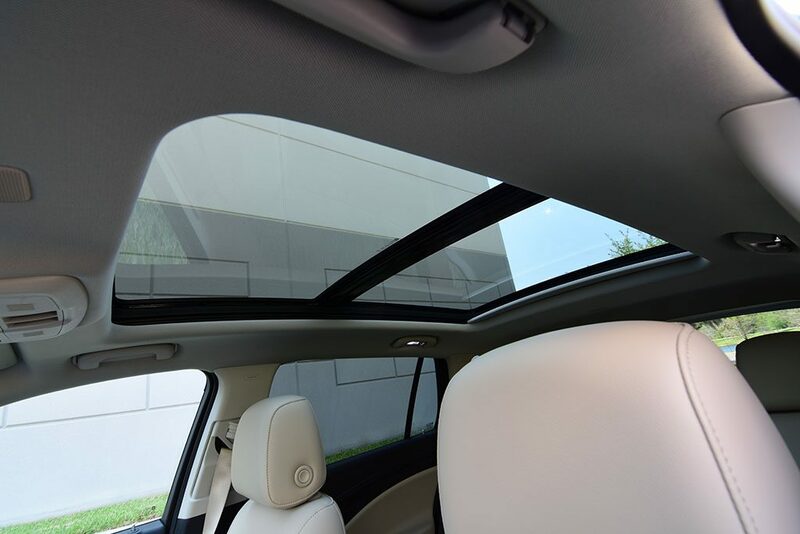 Interior space is surprisingly accommodating for a compact crossover in the new Envision. 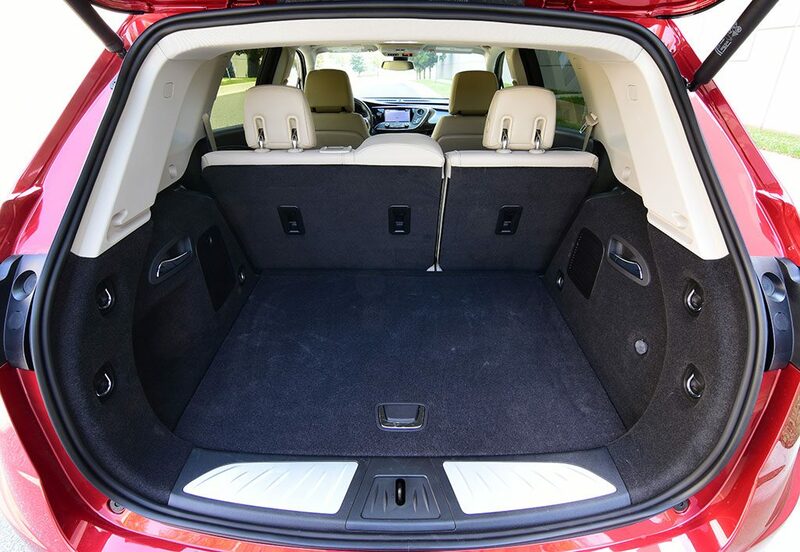 I found that finding a good driving position and easily fitting in the rear seats being over 6-feet tall was an obtainable task. 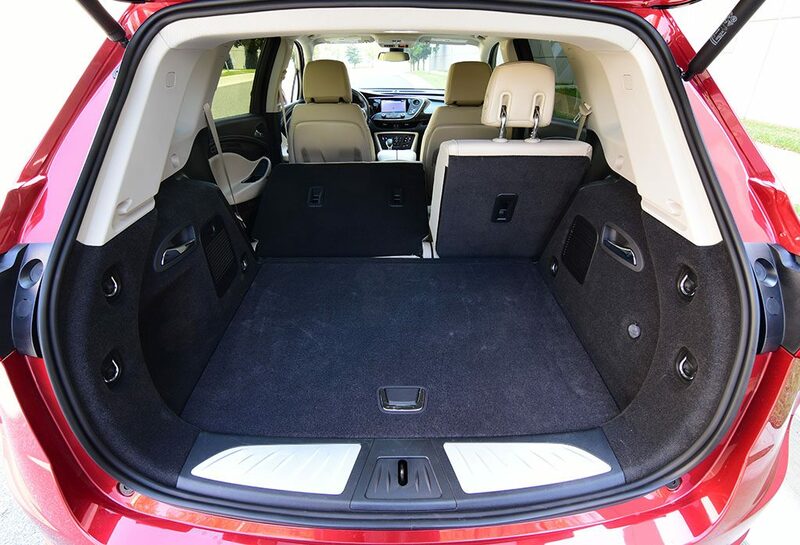 There appears to be a clever use of interior space throughout the Envision and the cargo capacity gets a decent score in my book even though there are a couple of larger offerings in the same class. 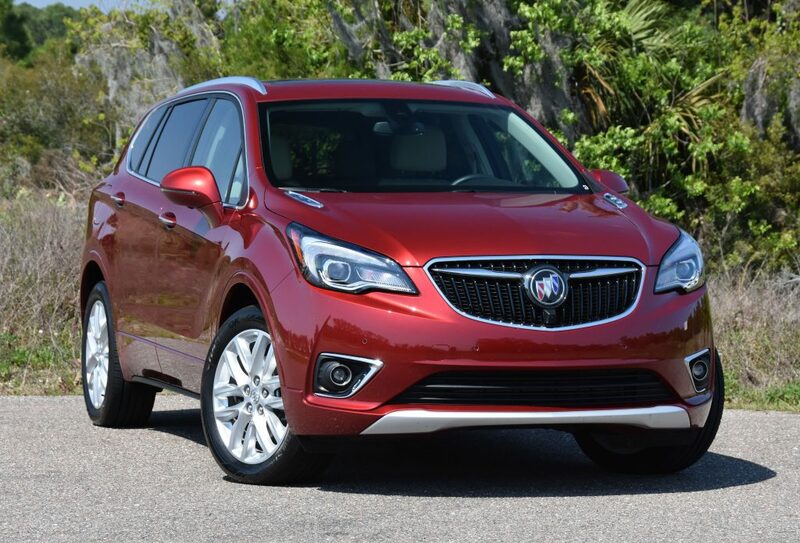 Buick has positioned the new Envision to have an excellent starting price point, but with my test vehicle reaching an out-the-door price of $48,030, some buyers may start to cross-shop full-on luxury branded crossovers. 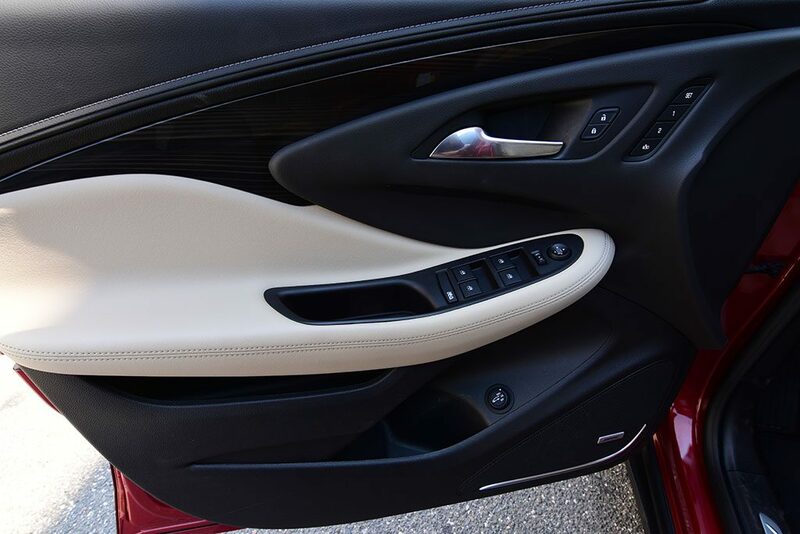 Still, the Envision is well worth the price of admission considering the collective of its well-to-do parts without having any complaints in my book. 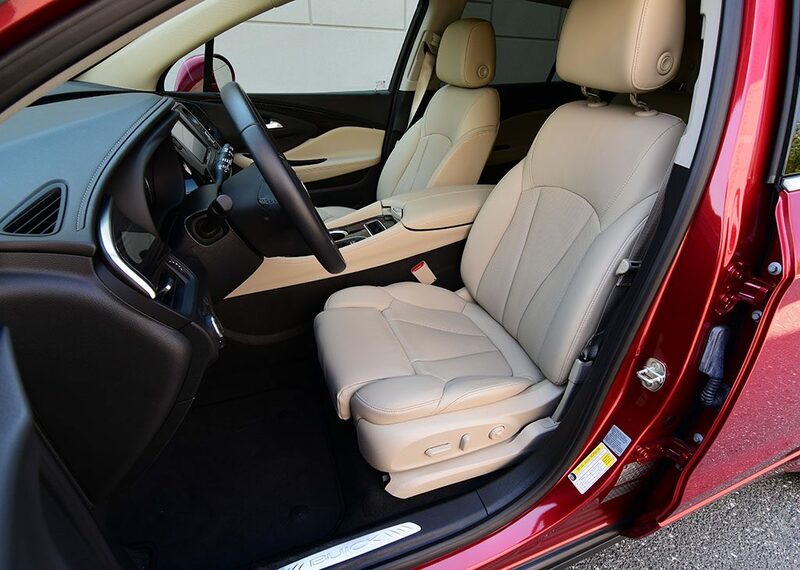 Moreover, being one of the few vehicles built in China, I didn’t notice any quality issues or fumbles during my week with the Envision and putting it through its paces with family travel, utility, and enjoyment of every-day commutes in comfort.